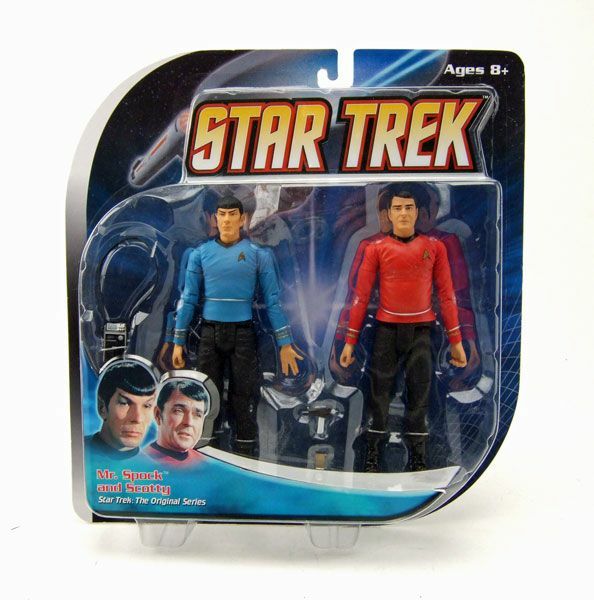 ...in a 2-pack with Spock! 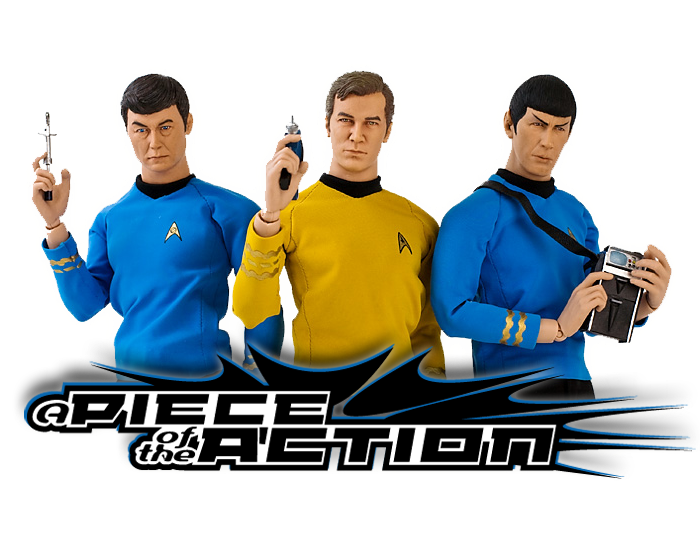 The Rundown: Ah, the finale of the "TOS Wave 5" spotlights. Well, as you can see I didn't exactly save the best for last. 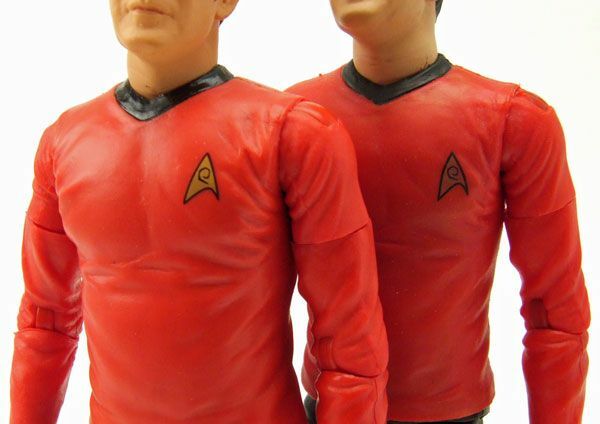 While both the Romulan and the "casual" Kirk bring a lot of new stuff to the table, this Scotty is just a simple reissue... and it isn't the first time it's been reissued either. 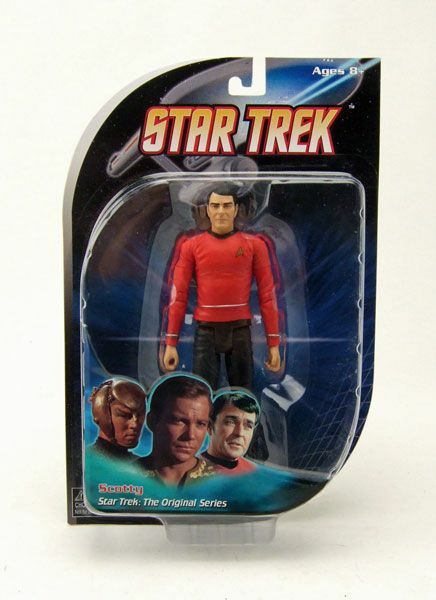 Scotty got the reissue treatment not too long ago in a 2-pack with Spock. Since both reissues are almost identical once they are out of the package, it's easier just to group them together into this one spotlight. 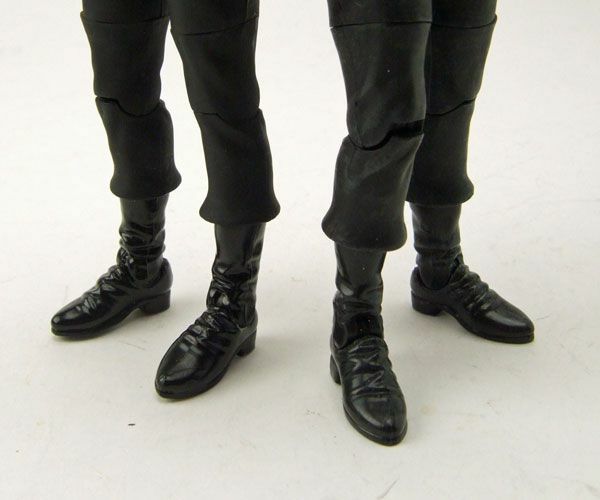 Oh, and since both releases are just tweaks of the original Art Asylum figure (spotlighted HERE), we won't go into too many details about the figure itself. Instead, we'll just look at what's different on the reissues to see if it warrants another purchase. Got all that? Good, because there may be a quiz later. 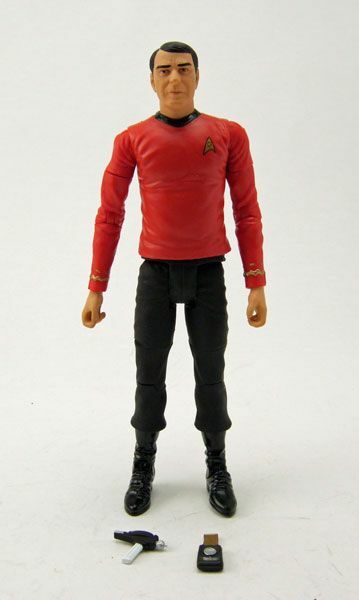 Let's start at the top and work our way down... Scotty's head is the same as his original version, but this time around he has a slightly "pinker" tone to his skin. 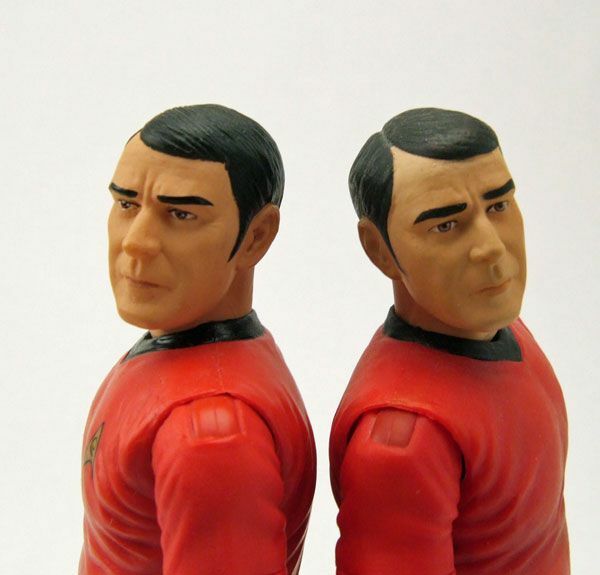 The original paint job isn't bad, but I do prefer the warmer tone of the reissue. With both the gold and blue shirted crew reissues, there is a visible difference in the shades of material used. 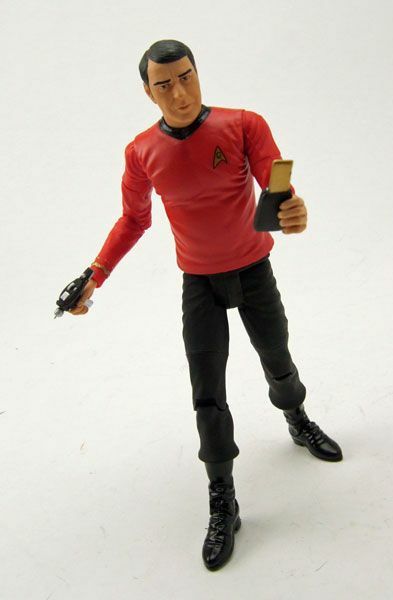 Reissue Scotty and his red shirt buck that trend, with a shirt tone that is pretty darned close to his original release. You can see a slight difference when they are side-by-side, but not enough of a difference to write home about. The gold paint on the reissue's delta shield however is a dramatic improvement of the original's (which has started to darken and smudge over time). 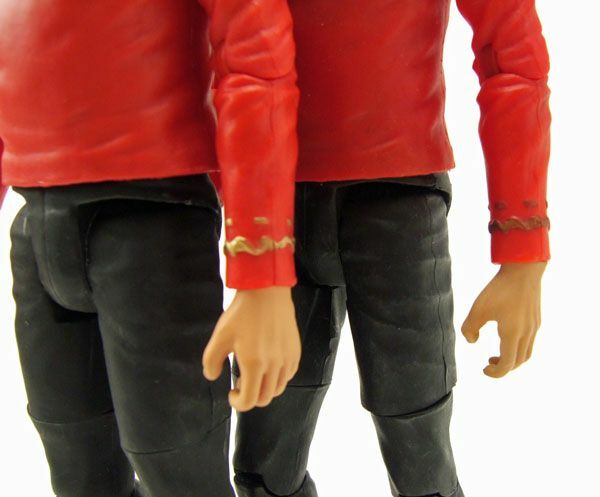 Like most of the re-releases, the rank braids on Scotty's sleeves are painted with a much more vibrant gold paint. It's a small change, but it really helps them stand out better than the original version's. 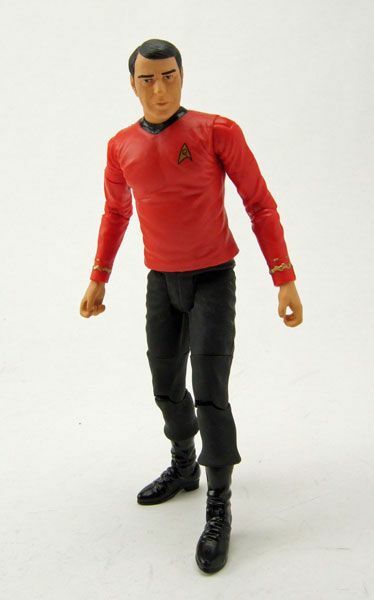 Lastly, the original AA version of Scotty had a slight paint wash all over his pants, giving them a bit of a "dirty" look. The new version eliminates most of that wash, opting for a clean flat paint job. I prefer the "clean" version, but I barely noticed this difference, so it's really not that big of a deal either way. 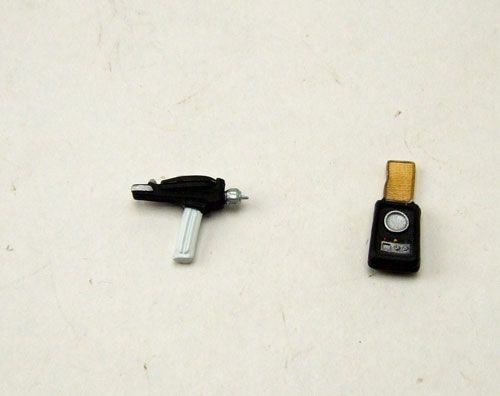 Accessories: Both the 2-pack version and single carded releases include the same accessories- a communicator and a white handled phaser. I really wanted to jot down a quick message to be able to appreciate you for all of the precious hints you are placing on this website. My incredibly long internet research has at the end of the day been honored with excellent tips to write about with my close friends. I 'd express that many of us website visitors are undeniably endowed to exist in a very good place with so many awesome people with very beneficial things.If you choose Custom essay to provide you with the writing help you have been looking for also get the result in any times I feel really happy to have encountered your web site and look forward to many more excellent moments reading here. Thank you once again for all the details.